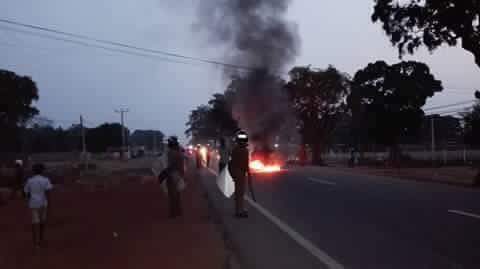 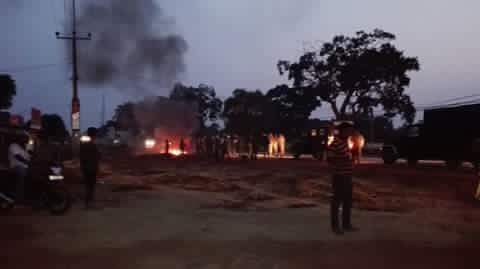 A clash broke between the protesters, who were demonstrating against the shooting of two Jaffna University students, and the Police near the hospital in Kilinochchi Town. 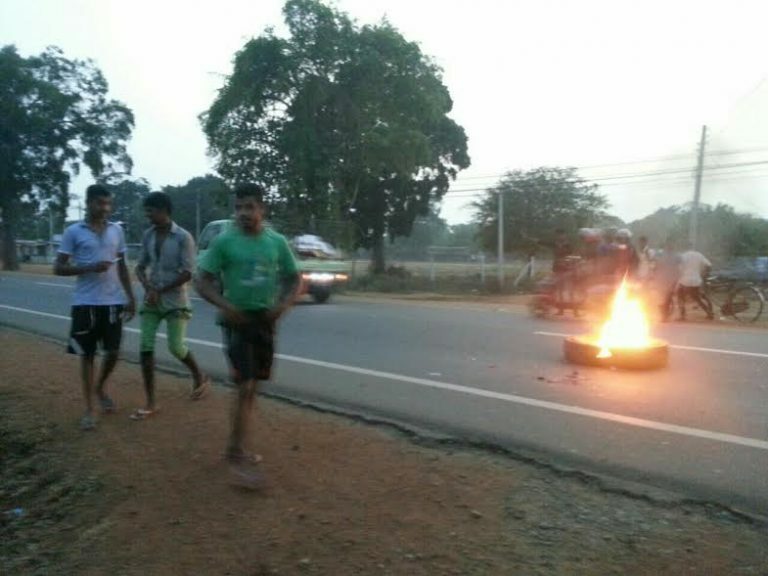 A protest campaign was staged near Kilinochchi Hospital in relation to the 'Harthal' declared after the death of two students, who were shot when riding a motorcycle. 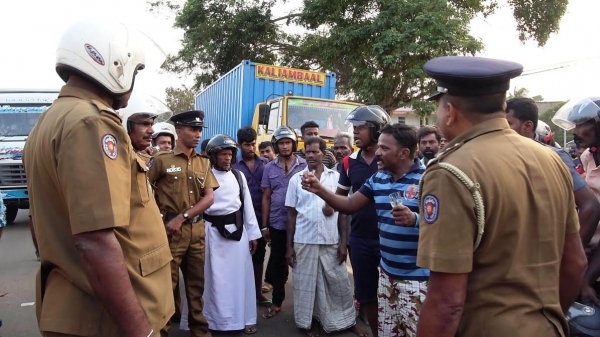 When the Police were attempting to disperse the gathering, some of the protestors had furiously charged at the Police and hit a sergeant with a bottle, injuring his face. The Sergeant Samarawickrama attached to the Kilinochchi Police sustained injuries and was hospitalized. 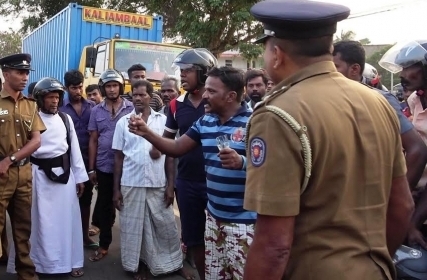 Kilinochchi Police sources revealed that a team of Police officers had been deployed to the location where a group of men were drinking alcohol and behaving in an unruly manner during the protest.